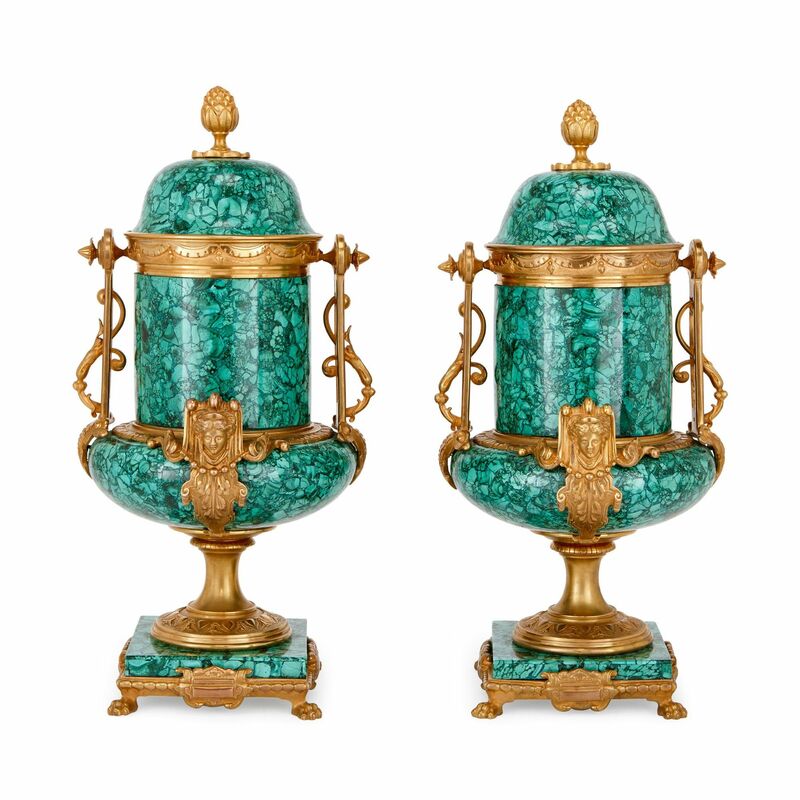 These exquisite late 19th Century vases have been veneered in sumptuous green malachite, which beautifully contrasts with the finely detailed ormolu mounts. 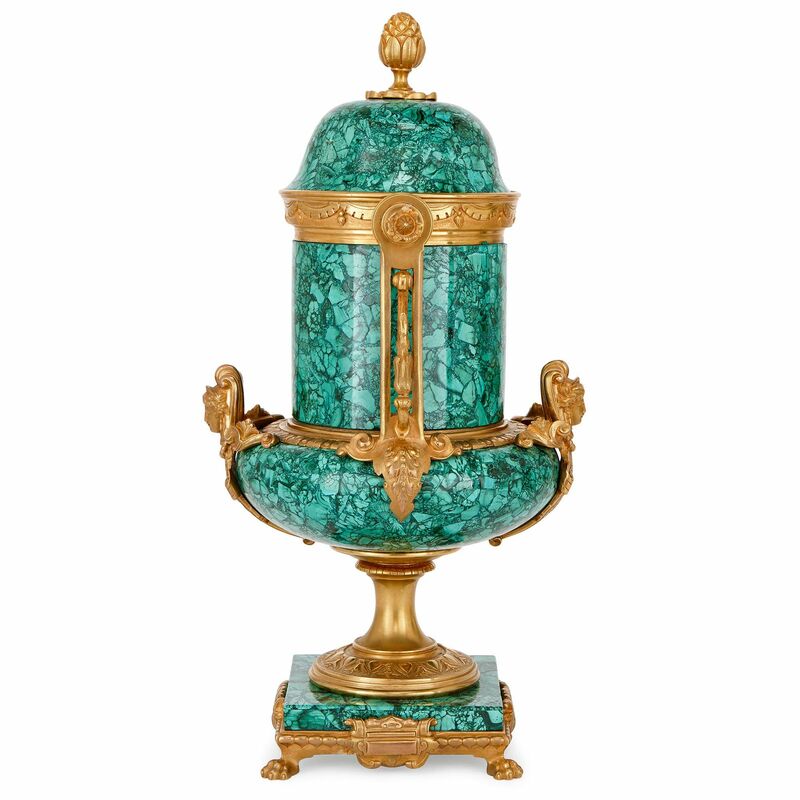 The vases date from the late 19th Century in France, but feature a later malachite veneer, which adds a sumptuous charm to these splendid antique pieces. 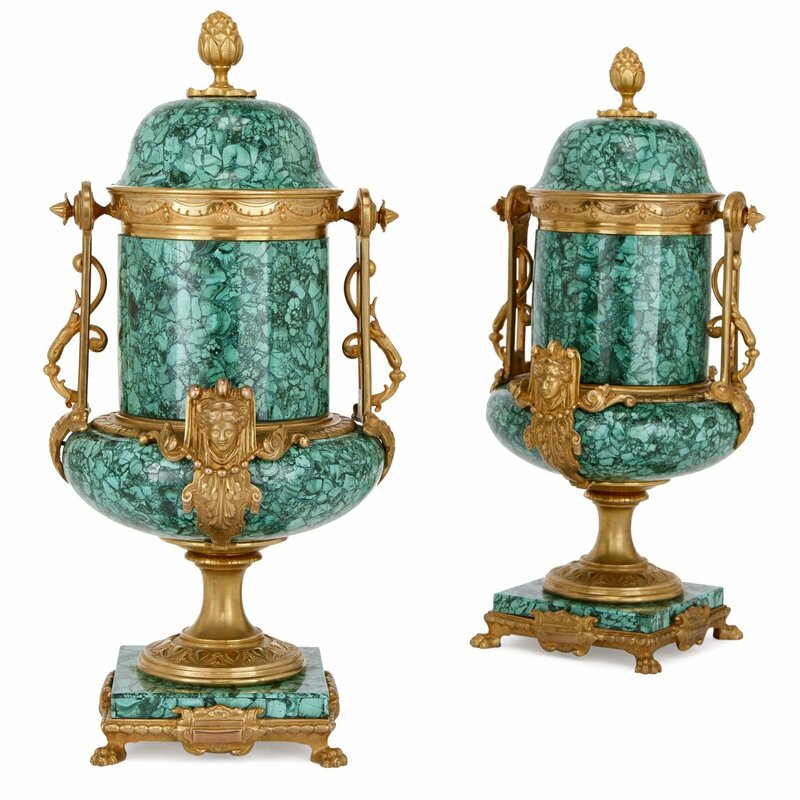 The vases have an unusual shape: the body of each vase is cylindrical with a spreading support below, and features a lid surmounted by an ormolu pinecone finial. 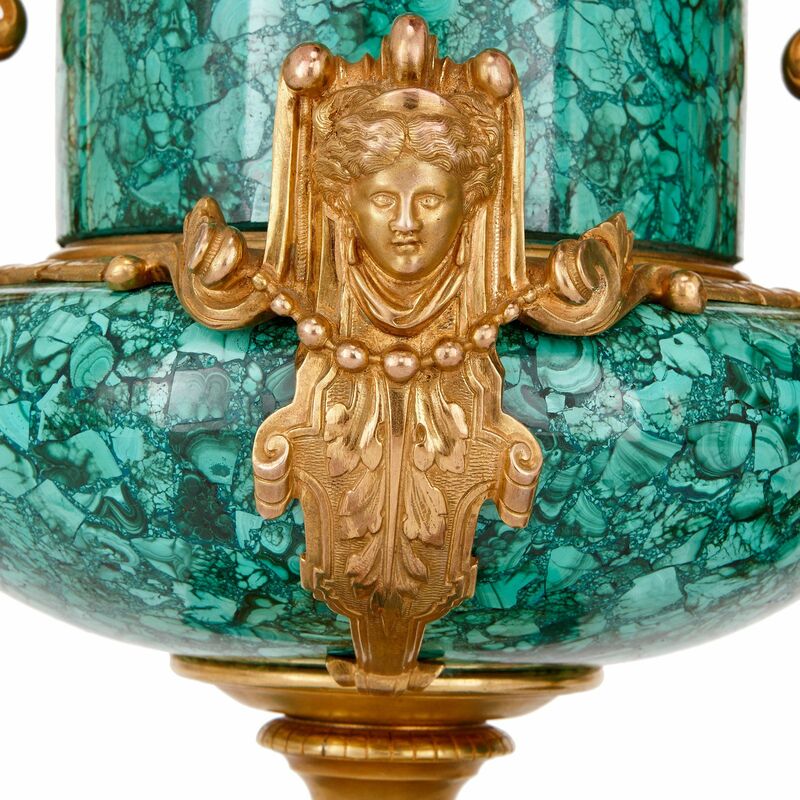 The body of each vase is mounted at the sides with twin scrolling foliate ormolu handles, and at the front and rear with beautifully-cast female masks surrounded by acanthus leaves and beading. 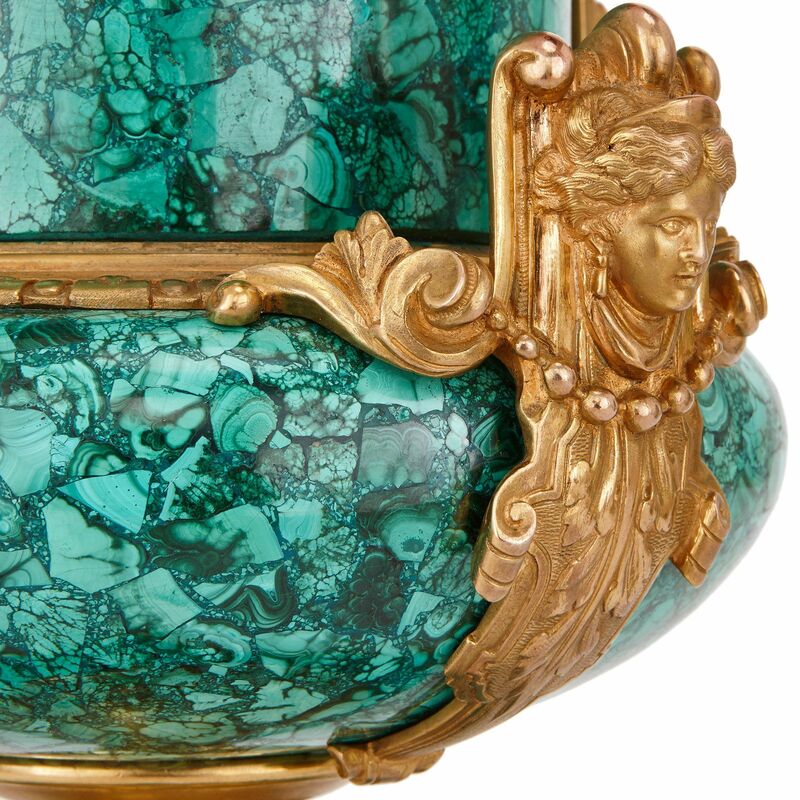 Each vase is supported by an ormolu socle, on a square malachite plinth, on four ormolu paw feet. 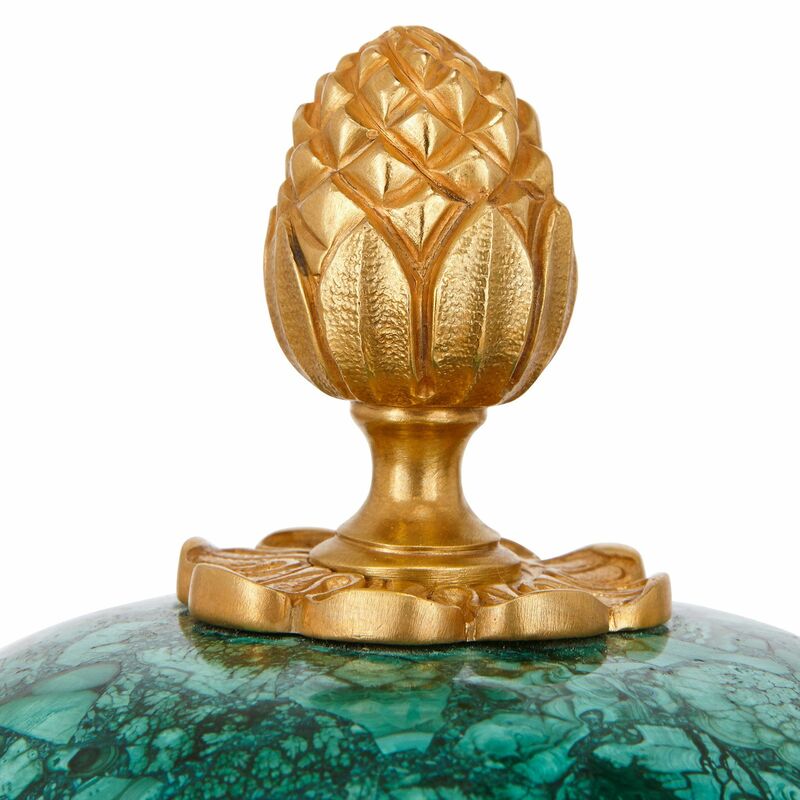 Given their unusual design, combined with the quality of material and craft, the vases will look stunning both in modern and traditional interior settings.